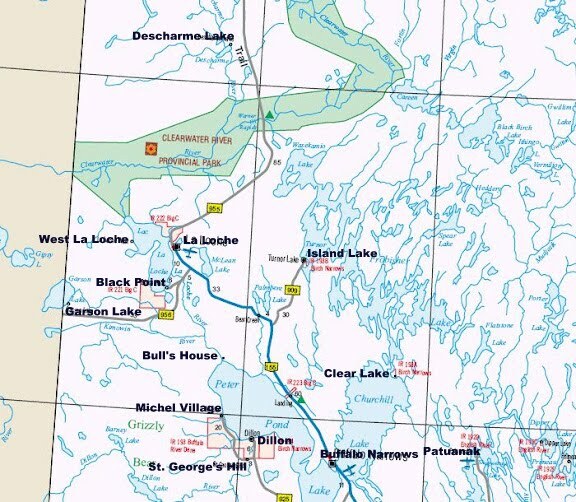 This trip from La Loche to Clear Lake and back is a 200 miles trip over the frozen lakes. Returning via Island Lake (Turnor Lake) would have been a 150 mile trip on a less travelled overland route. 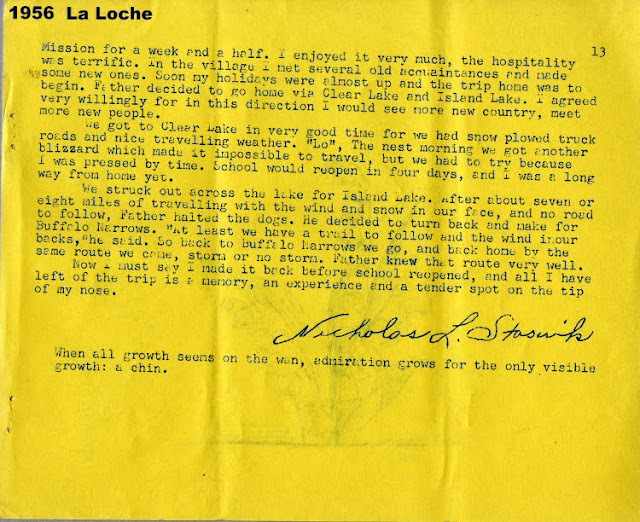 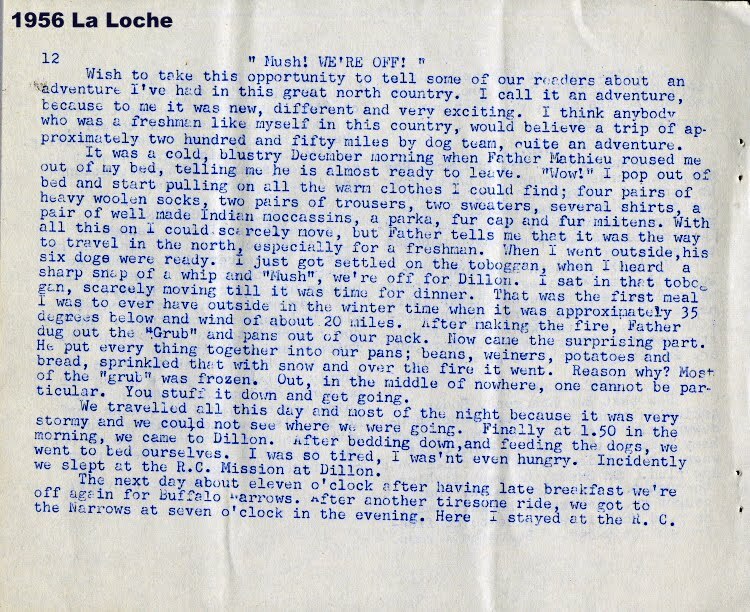 These two pages describe the trip from La Loche to Clear Lake and back. 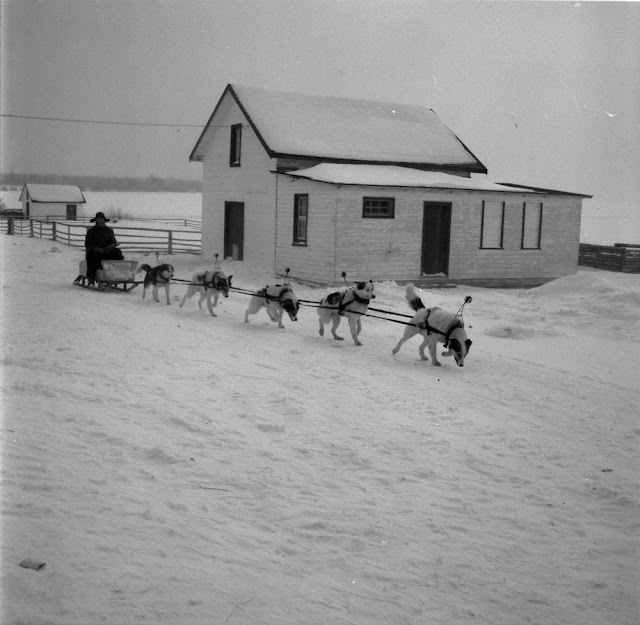 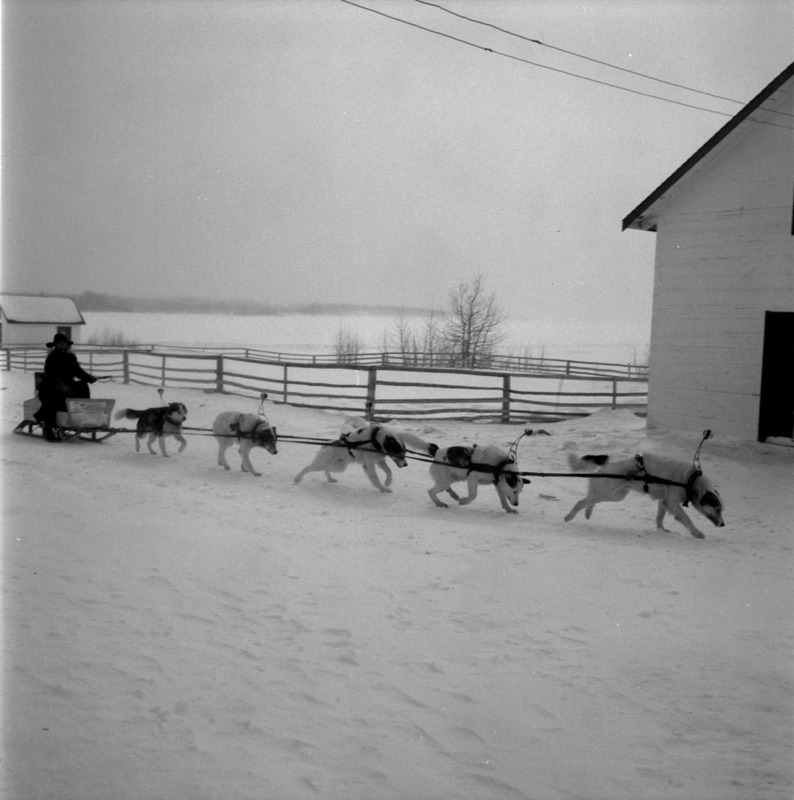 Another trip by dog team sees Father Mathieu going to West La Loche then having to run behind the team back to La Loche. 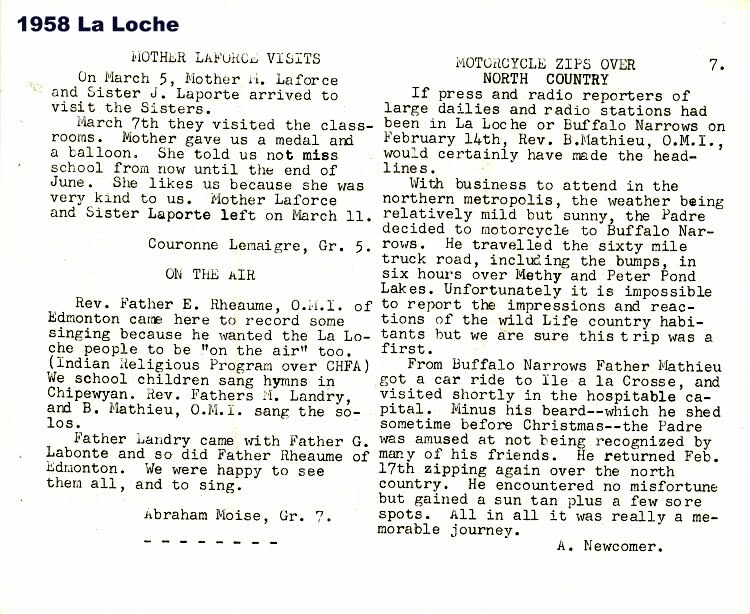 West La Loche is about 8 miles over the ice from the La Loche Mission (a 16 mile trek not 26 miles as stated). 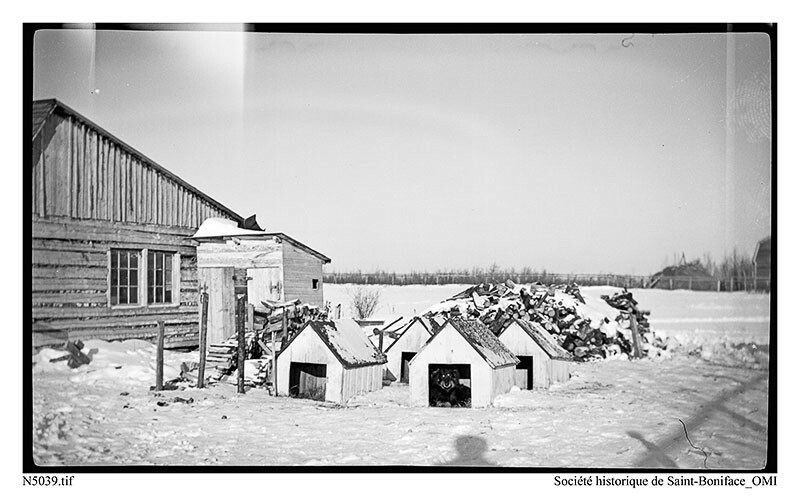 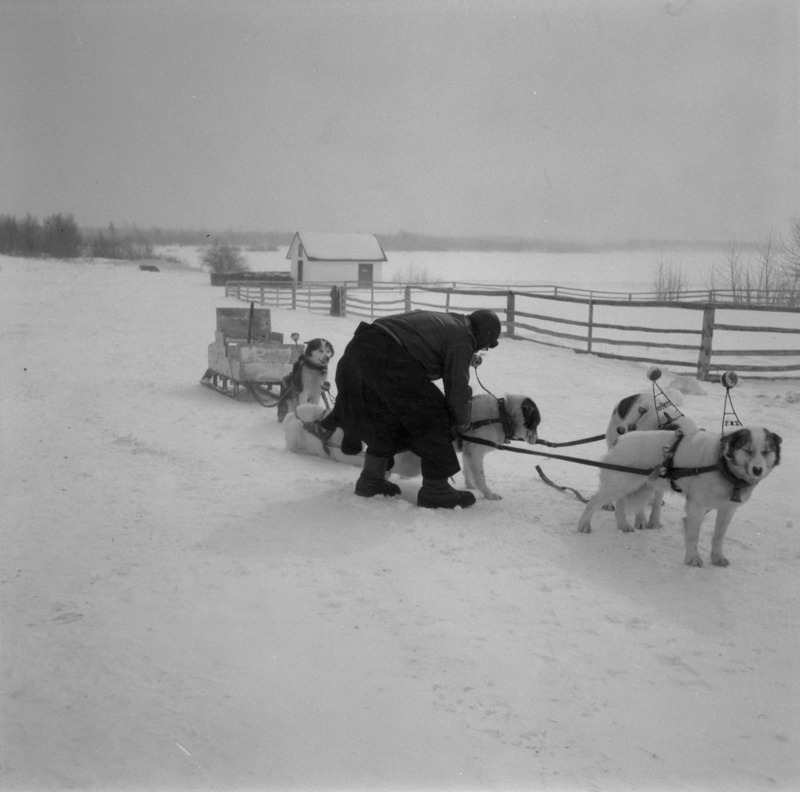 Dog houses on the mission grounds circa 1950. 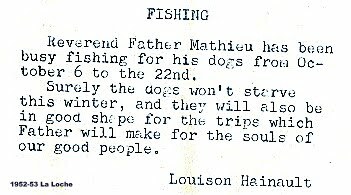 They were fed on a diet of fish. 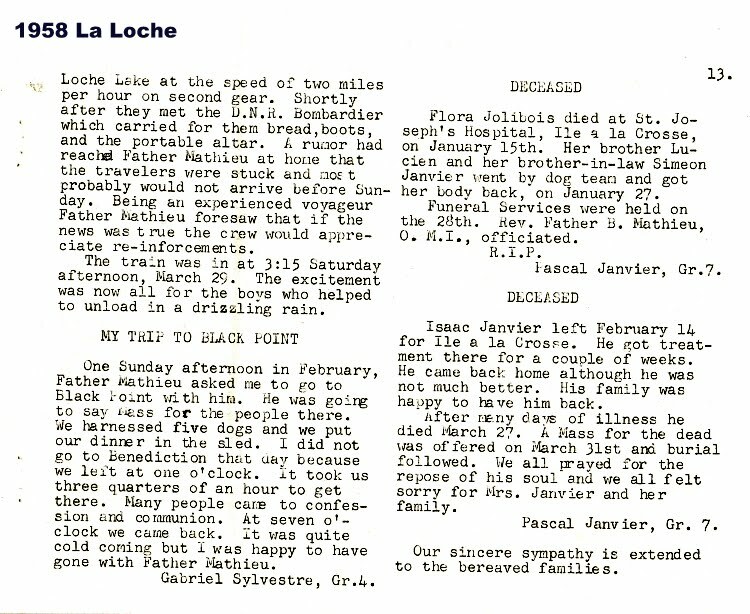 Father takes a trip to Black Point in 45 minutes. 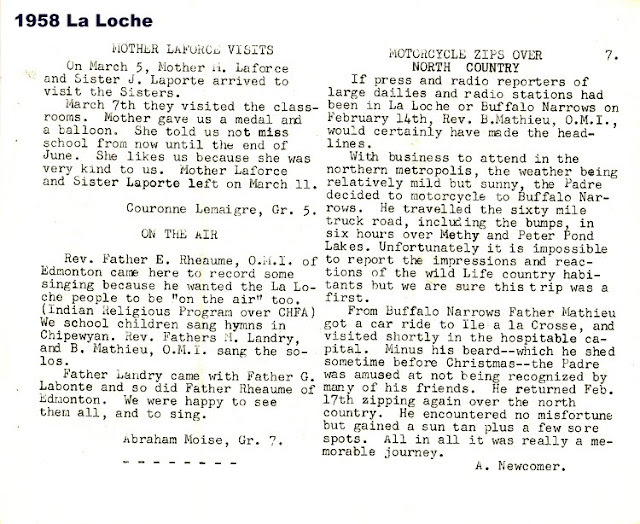 Black Point is 8 miles from La Loche over the ice. 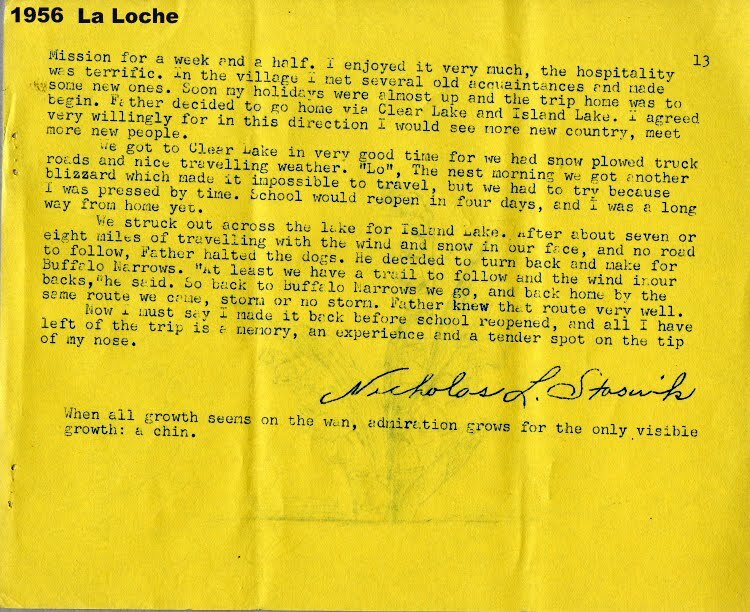 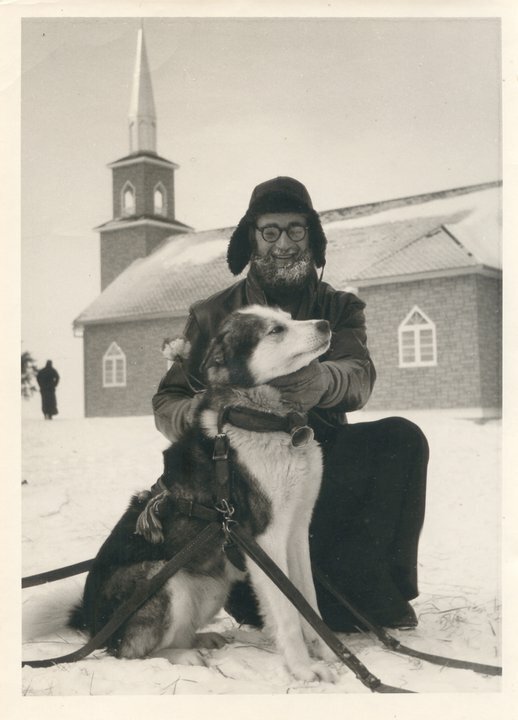 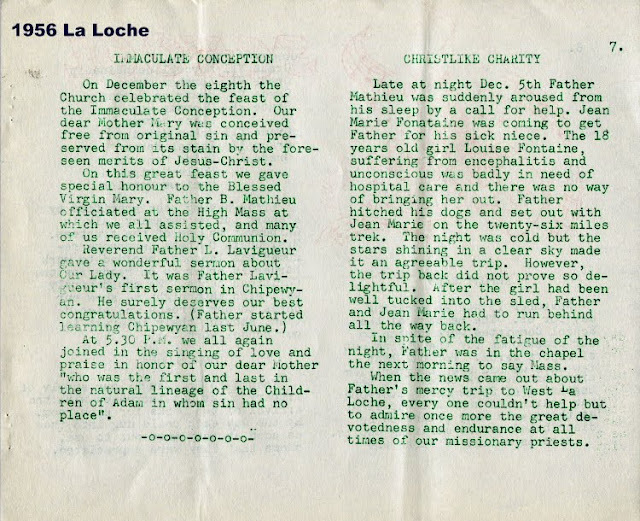 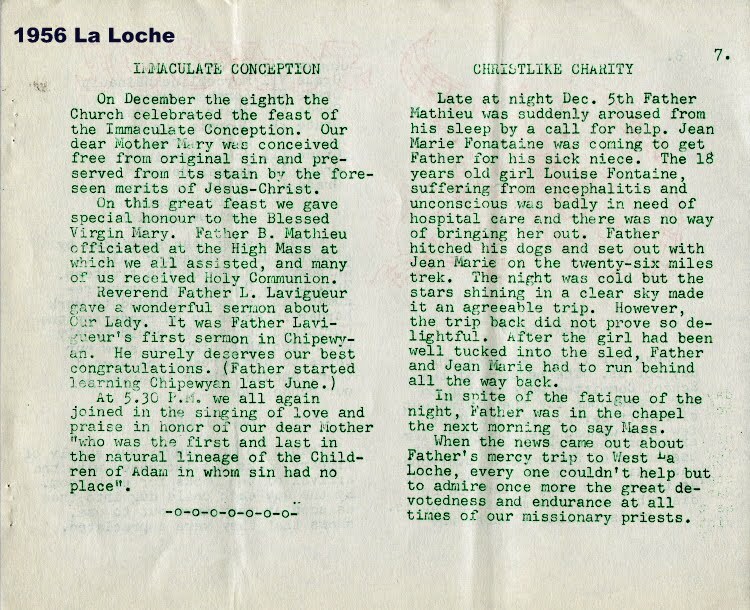 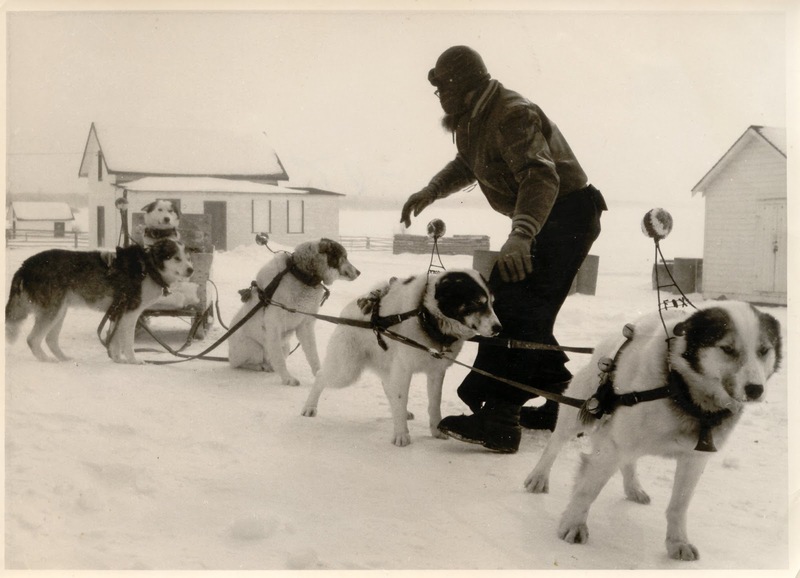 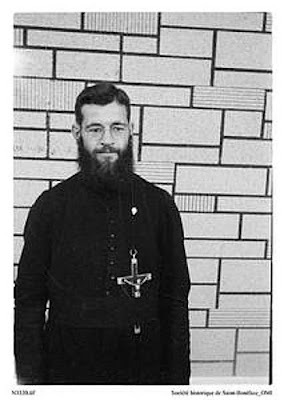 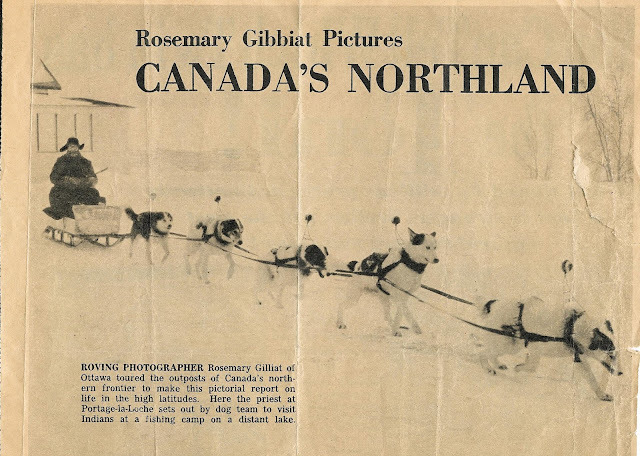 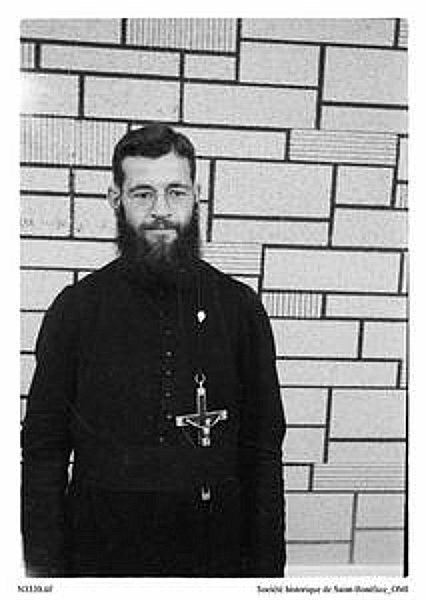 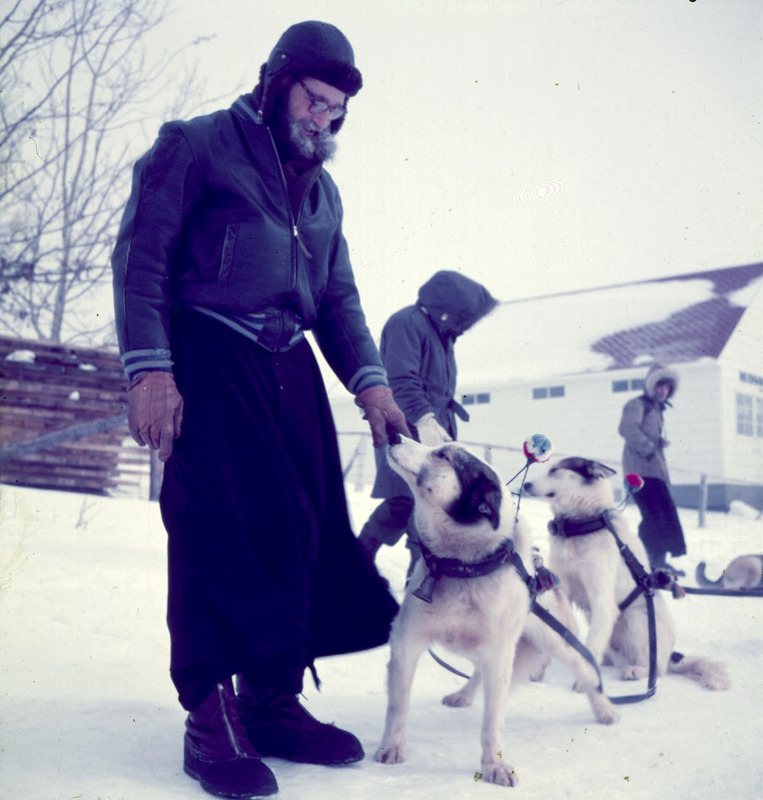 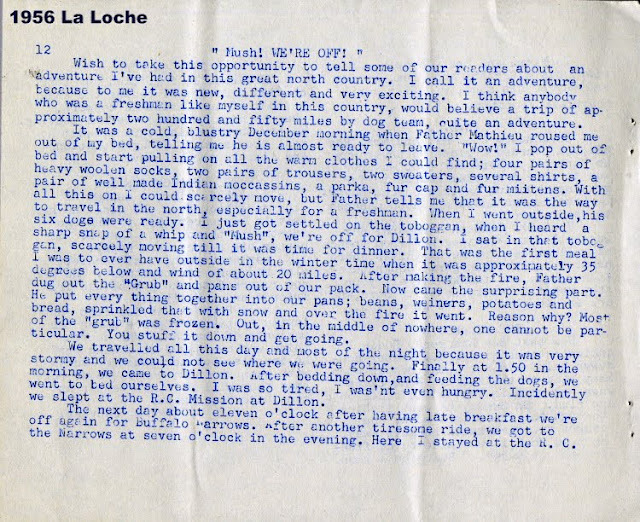 "Fox, my faithful companion in my walks and a very good leader of my dog "
In 1958 Father Mathieu cuts his beard and takes a motorcycle trip to Buffalo Narrows over the sixty mile ice road on Lac La Loche and Peter Pond Lake. It takes him six hours. A gravel road was built to La Loche in 1963.